Draft: 1996, Seattle Mariners, 1st rd. Victor Martinez hits a ground-rule double (3) on a fly ball to right field. January 18, 2011 Kansas City Royals released RHP Gil Meche. September 1, 2010 Kansas City Royals activated RHP Gil Meche from the 60-day disabled list. August 21, 2010 sent RHP Gil Meche on a rehab assignment to Omaha Royals. July 26, 2010 sent RHP Gil Meche on a rehab assignment to Omaha Royals. July 21, 2010 sent RHP Gil Meche on a rehab assignment to Northwest Arkansas Naturals. July 14, 2010 Kansas City Royals transferred RHP Gil Meche from the 15-day disabled list to the 60-day disabled list. May 29, 2010 RHP Gil Meche assigned to Kansas City Royals. April 11, 2010 Kansas City Royals activated RHP Gil Meche from the 15-day disabled list. April 3, 2010 Kansas City Royals placed RHP Gil Meche on the 15-day disabled list retroactive to March 26, 2010. Right shoulder bursitis. August 13, 2009 Kansas City Royals activated RHP Gil Meche from the 15-day disabled list. 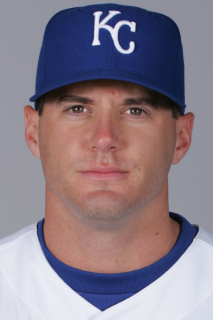 August 3, 2009 Wilmington Blue Rocks sent RHP Gil Meche on a rehab assignment to Omaha Royals. August 2, 2009 RHP Gil Meche assigned to Wilmington Blue Rocks.